Now that it's the start of a new school year (in Japan! ), I thought we should learn how to introduce ourselves. The attachment below has the basics and there's a good web link for adding in more information: hobbies and interests. This game was a lot of fun! We need to get some picture cards so that we can use different words next time. Remember, the idea is ask someone to bring something to you in Japanese. The other people have to listen to you and pick the right thing. First person wins! In Japanese, the words you use for a number can change depending on what you're counting. We're not going to worry about that for the time being, and we'll focus on the main numbers first. This website has a good table showing the numbers (you want the the second column, titled Sino-Japanese). 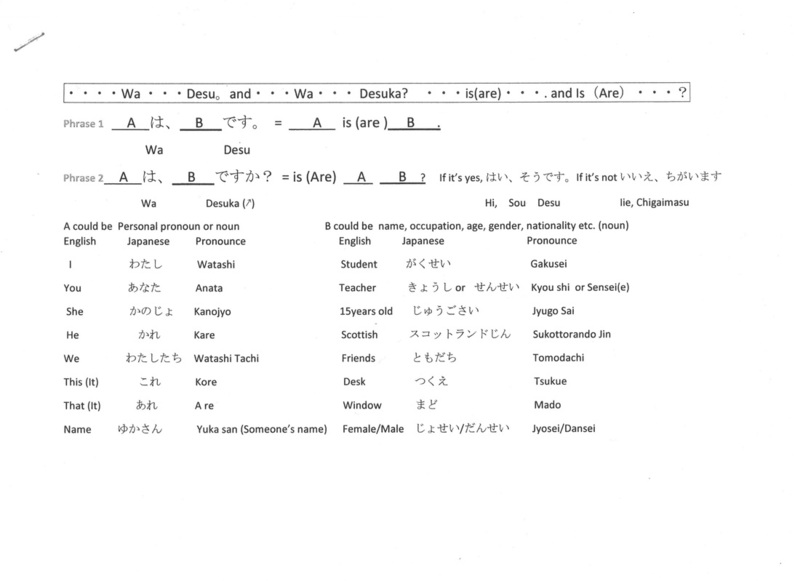 Saying that something exists or describing where something is is a little different in Japanese. In Japanese, you have to use the verb あります for non-living things (including plants), and います for living things (animals and people). Here's a wee guide to how to use those two verbs. Next week, we're going to work on translating this into English. Why not try it for yourself and see how you get on? 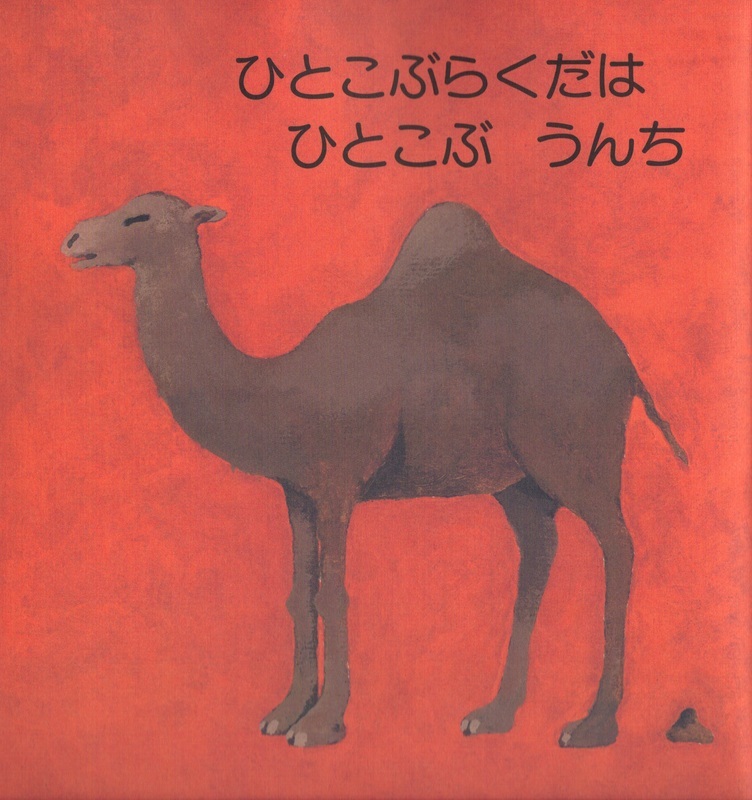 The dromedary camel has a one-hump poo. 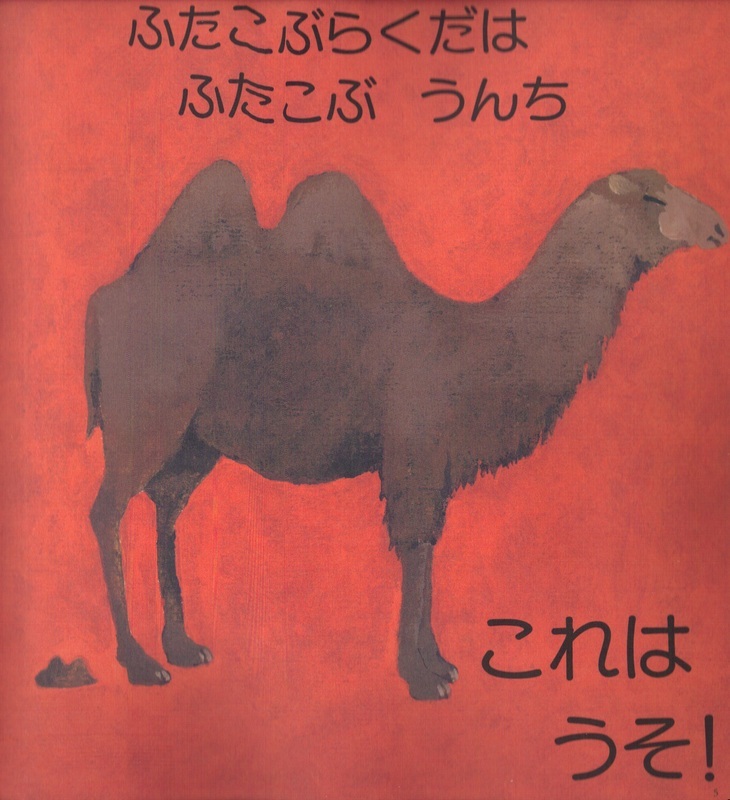 Altogether, ふたこぶらくだ = bactrian camel. The bactrian camel has a two-hump poo. Yup, everybody poos. :) More on this soon! You might remember that last year, I taught some useful phrases, rather than diving directly into grammar and all that. I've listed the useful phrases in the following document, for any new members who weren't here then.